A-HOTEL.com - Luxury and cheap accommodation in Devlineyevo, Russia. Prices and hotel, apartment booking in Devlineyevo and surrounding. 12 km from Tugan Avylym, Guest house on Novoselskaya 33 is located in Kazan and provides air-conditioned rooms. The property features barbecue facilities, as well as a garden. Located in Kazan, 9 km from Tugan Avylym, Vostok Guesthouse features air-conditioned rooms with free WiFi. The property is situated 10 km from Church of the Exaltation of the Holy Cross and 10 km from Marcani Mosque. Gostevoy klub DACHA is offering accommodation in Kazan. Located around 8 km from Tugan Avylym, the inn with free WiFi is also 9 km away from Church of the Exaltation of the Holy Cross. Set in Kazan, within 9 km of Tugan Avylym and 9 km of Church of the Exaltation of the Holy Cross, Рауиса Гареева 94 features free WiFi. All rooms boast a flat-screen TV with satellite channels and a private bathroom. Kazanskiy Ahun is located just 5-minutes from central Kazan. Free WiFi access is available. Located in Kazan, 10 km from Tugan Avylym, 11 km from Church of the Exaltation of the Holy Cross and 12 km from Marcani Mosque, Apartment on Baki Urmanche provides accommodation with a balcony and free WiFi. The apartment is 12 km from Kazan State University. Апартаменты в Солнечном у ДРКБ РКБ. Offering free WiFi and lake views, Апартаменты в Солнечном у ДРКБ РКБ. 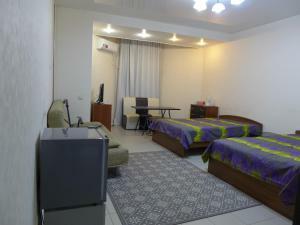 Is an accommodation situated in Kazan. Set in Kazan in the Tatarstan region, Apartment on Baki Urmanche str. Has a balcony and lake views. Apartamienty offers accommodation in Kazan, 7 km from Tugan Avylym and 8 km from Church of the Exaltation of the Holy Cross. The apartment is 9 km from Marcani Mosque. Located a 10-minute drive from Kazan city centre, Hotel Otrada features free WiFi access and free private parking. The rooms are equipped with a flat-screen TV. Located a 10-minute drive from Kazan city centre, Dubrava Hotel offers a lounge area and free parking. The rooms feature a working area, a fridge and satellite TV. Located within a 25-minute drive from the Kazan city centre, the Sputnik Hotel offers comfortable accommodation in a tranquil location. The hotel is within a minute walk from public transport stops. Set 9 km from Tugan Avylym, 9 km from Church of the Exaltation of the Holy Cross and 10 km from Marcani Mosque, Apartament on Dubravnaya 34 provides accommodation situated in Kazan. 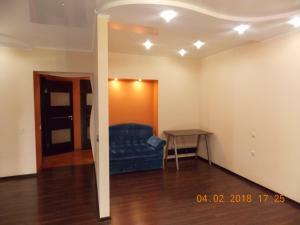 This apartment is 10 km from Kazan State University and 11 km from Peter and Paul Cathedral. Located 8 km from Tugan Avylym in Kazan, Apartament on Dubravnaya 28 offers accommodation with a kitchen. The property is 9 km from Church of the Exaltation of the Holy Cross. Apartment on Orenburgskiy Trakt in Kazan provides accommodation with free WiFi, 4.4 km from Tugan Avylym, 5 km from Church of the Exaltation of the Holy Cross and 6 km from Marcani Mosque. Ilmar City is a stylish, modern hotel, with Wi-Fi internet access, located in a clean area, not far from the of Kazan centre. Ilmar City Hotel provides a variety of modern rooms that are uncluttered and decorated in soothing colours to ensure a restful stay.